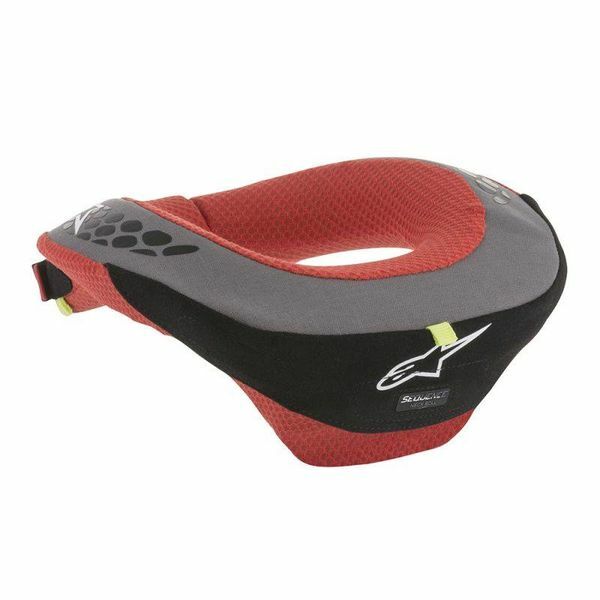 Designed and developed specifically for younger riders, the Sequence Youth Neck Roll is the starting point on a junior rider’s journey to the Bionic Neck Support. Ergonomically profiled for young rider’s body requirement the Sequence Neck Roll’s frame is designed to transfer energy impact away from the upper neck. 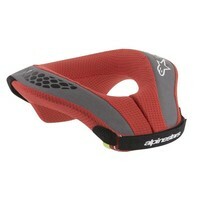 • New hybrid kids neck protection with extended tail for high position stability. • Ergonomic designed and engineered shape to fit kids from 6 – 10 yrs. and from 10-14 yrs. • Double density core is made from a soft PU foam base embedding a hard layer EVA for energy dissipation. • Bottom and internal soft section (neck side) provides comfort for the shoulder and neck, hard section on the upper part to give stability and provides force distribution when the helmet is impacting. • Easy to use soft strap closure on the front part. • Highly compatible with all other protectors and jackets. • External cover can be pulled of core for washing by Velcro opening on the rear.